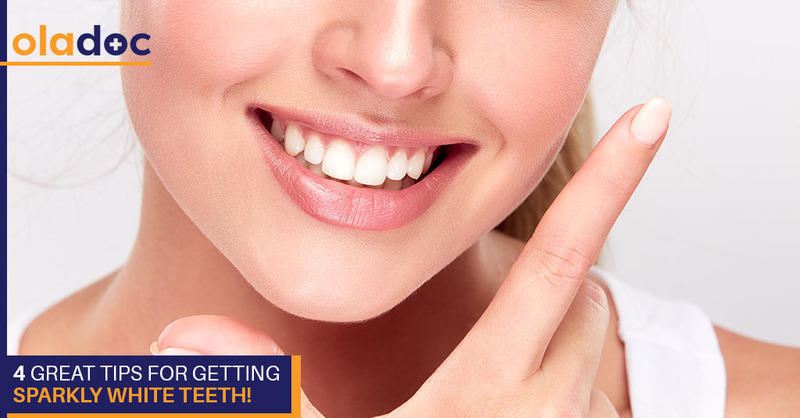 Teeth can get stained as you age but some common foods, drinks and some mouthwashes may stain teeth. Adding a few good habits to your oral hygiene can help prevent some of the discoloration. Use these tips to restore your bright smile. Most people linger on to their toothbrush until it can’t be used anymore. Ideally, you should get a new toothbrush every two to three months to keep your teeth healthy as an old brush becomes a breeding ground for bacteria and you will be doing yourself a disfavor by using a worn out toothbrush. The best way to brush your teeth is to keep your toothbrush at a 45-degree angle against your gums and moving it gently in circular motions instead of moving it back and forth. Hold your toothbrush like a pencil to prevent yourself from scrubbing too hard. It is difficult to keep your teeth white if you drink black tea and smoke cigarettes all day. Similarly, dark juices, gravies, and colas can darken your teeth. As a general rule of thumb, foods that are dark are likely to stain your teeth. However, we understand that it’s neither practical nor healthy to give up on all the foods with a rich pigment. So, to keep your teeth white, always brush your teeth after consuming foods that stain teeth. You can also use a bleaching agent to keep your teeth white. Moreover, you should eat more of the foods that clean your teeth., Crisp and firm foods such as apple, celery, raw carrots, and popcorn are good for your teeth. You can also eat one of the foods at the end of your meal if you know that you will not be able to brush your teeth anytime soon. It is a traditional remedy that can remove toxins from the body and improve oral hygiene. It involves swishing oil around your mouth for 20 to 30 minutes to remove bacteria which turns into plaque and darkens your teeth. You can use any oil, but coconut oil, sunflower oil, and sesame oil are popular choices. Even though there are no scientific studies that show oil pulling whitens teeth, it is a safe practice and many people all over the world have reported positive results. You can use baking soda in place of your regular toothpaste once every week to remove stains. If you do not want to use baking soda, you can use salt. However, don’t swallow it once you are done as it will be full of bacteria! If you think your teeth look dull and stained, you can consult your dentist to get them whitened. You can find and book an appointment with top Dentists in Lahore, Karachi, and Islamabad through oladoc.com. You can also call our helpline at 042-3890-0939 for assistance to find the RIGHT Doctor for your health concerns.